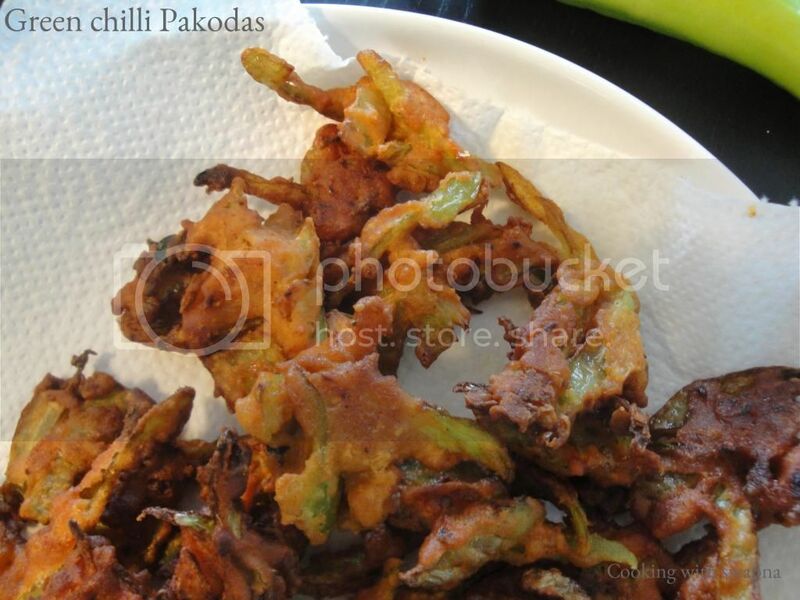 Chilli pakodas is a delicious snack for those of you who enjoy the heat of green chillies. Perfect when served with hot tea on a cold day. 1. Slice the green chillies (remove the seeds). 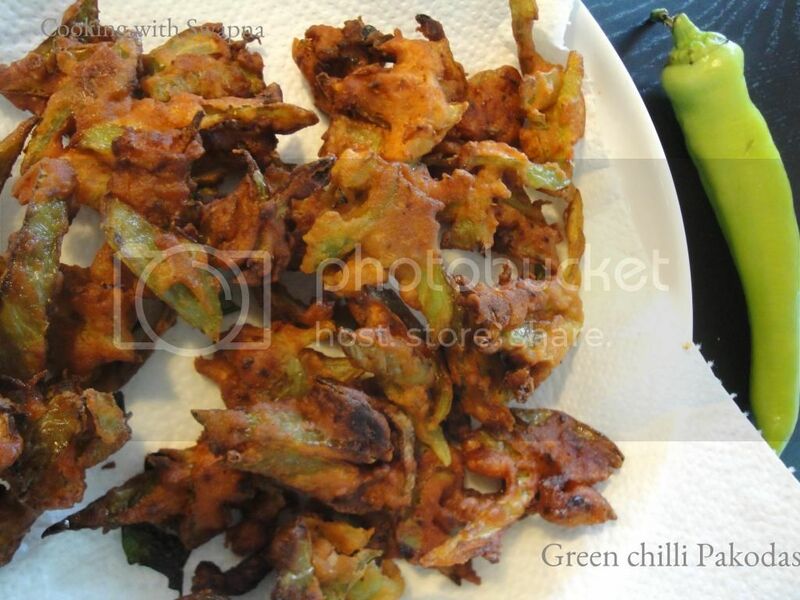 Mix together with the gram flour, rice flour, chilli powder, ginger garlic paste, garam masala, cumin powder, curry leaves and salt to taste. If required, sprinkle some water. 2. Heat oil in the frying pan, fry the pakodas till crispy and golden all over turning occasionally. Remove and drain on paper.